Today's Radio Show: Pamma Jamma Girlz&R.O.B. C.E.O. of Get Down Records!!!! This was a good one. Pamma Jamma Girlz was on air with Your Diamond Queen Ms. Tra` "That Gem" . You can contact these ladies by emailing them @ pammajammagirl@gmail.com They are on face book as well do a search find them. R.O.B. OR R TO O TO thE B BABY!!! C.E.O. to Get Down Records check him out on www.rebirthnation.com/ROB or facebook.com/ROBERTYORK. Check him out Diamonds on facebook he is having bday party for Valentine Day!!!! "Red Carpet Premiere Loved it Check it out from Jan 20-23rd." I absolutely loved the music from the film. With soft rock, hip-hop and even touches of reggaton of course with its Latino twist. Now, if you don't know now ya' do. I rate movies by giving it 1 to 5 gems I give this film 4 gems for drama and humor. Two words simply hilarious, Pablo you did your thing. Whats a movie without a traitor? Red Carpet Premiere Thursday, January 20, 2011 at 6pm!!!! CHICAGO - Status Tv Productions first film, "ONLY ONE WAY OUT", will debut on January 20, 2011 at the Chicago Center for Performing Arts. Status Tv Productions has created a film that documents love, dancing, and the pressures from Chicago gang life. Only One Way Out is the story of a young man that falls in love but is faced with the challenges of gang life when tragedy strikes. Can his love, passion and determination withstand the cold streets of Chicago? There is only one way to find out. The film includes debut onscreen performances by Urban Vibe’s Richard Fernandez, Blanca Aviles, and Rody “Bass” Fernandez. The film’s premiere will also showcase live musical performances by several Chicago artists featured in the film. Some of the film’s featured Chicago artists include Lisa “La Boriqua”, Cordell “Co-Still” Hunter, Sebastian “C-A” Borges, and The Urban Vibe Dance Company. Today's Radio Show; Director Octavio Lopez!!!! "Every Saturday at 3:30p.m. til 4pm ct."
Well, CHECK IT OUT!!!! www.blogtalkradio.com/mstra-thatgem or call in 424 675-8225. I had Director Octavio Lopez. He's with Status Tv. He is directing the film "Only One Way Out". Premieres Jan 20th. You don't want to miss it. Go to http://www.theaterland.com/ for your tickets. You don't want to miss this red carpet event. Check the trailer at at http://www.statustv.com/. You can call 773-340-8388 for more info. Listen to internet radio with mstraXthatgem on Blog Talk Radio Check out my youtube channel and subscribe darlings!!! Much Love Darlings!!! Chile, Melanie got a Maury moment didn't she. Girl, you about to lose everything. Because, of jealousy. After, 2 years you still insecure. Janey, girl you wasn't sure if Derwin was your baby daddy. Jason and Kelly yall gonna be wrote back together. Its obvious yall characters still love each other. I told yalL Malik was good eye candy. But, they need too grow yo' character up. You dain near 30 and it seem like your character getting worse. You messed uP Tee-Tee u never let your woman take home a man. I don't care who he is. Now, wow yall surprise me wiTH TaSHA Mack. Girl, what happen tO Rick Foxx. Well, yall know I will be doing a vlog tonite on "The Game" and Basket Ball wives tonite. Should be up about 9:30p.m. Ct. Much Love Darling!!! Put the kids to bed. The days of Richard Pryor and Redd Foxx are back. Much Love Darlings!!! Stop Human Trafficking!!! Support Tim Run 4 Haiti!!! You miss this show listen now! Tim Necas is doing a Run For Haiti. You can donate by going to http://www.miami4haiti.org/. Frenda Rodgers is putting awarness to stopping childhood trafficking. http://www.restorationhousechicago.org/. Other organizations for haiti you can donate to is http://www.fonkoze.org/ (Education and basic women needs), http://www.madre.org/ (The whistles and flashlights), http://www.pih.org/ (for medicine and basic medical needs for HIV/AIDS). International organizations that are putting a stop to human trafficking http://www.amnesty.org/, http://www.iom.int/. Support these organizations Diamonds and Gents. Much Love Darlings!!! "Developing Strength in Love to Minister to Humanity"
Wow! This book is a must read. I have notice in the 21st Century that we as the human race have no empathy nor compassion for our fellow man. It is very interesting that in this day in age We can watch films or even create films like Repo-Man and 2012 can bring a light to this fact. What are we coming to? Well, Dr. Kamilah Stevenson is dealing with this fact of love. So for those who saw the title and thought it was about child rearing this totally is not the case. Now, I must be real with you. It took me a while to read this short book. Why? Because, it dealt with even me. I even thought, that it was boring. But, when I got into it. I realize that the fruit I have not been producing is the True love the way God himself intended for it to be. Mother Nature what's going on baby! Its been reported that over 2,000 birds have been found died in Arkansas. Little blackbirds found died. On Sat. morning. To top it off 100,000 fish as been found died too. Now wait a min Jesus. Huh? If you believe in the God of Abraham, Issac and Is-ra-el!! You better go spread the word. Because, baby! Sho' ain't a joke. Then, what's funny is in superstition side to it these little blackbirds were held as those with otherworldly powers. I guess he had to take out the superstitions first. So, you know people all scared. Talking about staying in there house. And wearing gas mask, child. Well honestly you won't know the day nor the hour. He only coming for remnant to fight anyway. I read one talking about she ready tonight lol. Girl, get a grip. It's OK baby. You can go outside. It Just killed your mama bird you gonna be alright. Today's Radio Show "Boys to Gents; The Making of a Real Man!" Diamonds & Gents I'm tell you Diamonds the Gents took over!!! They talked about Staggin' Pants and Men In Leadership. Tune in Right below!!! 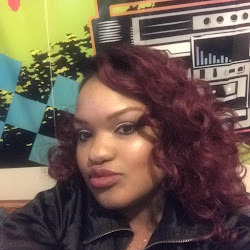 Listen to internet radio with mstraXthatgem on Blog Talk Radio Also, Check out my youtube video as well and Even the channel become a subscriber!!!! www.youtube.com/MsTraThatGem. Much Love Darlings!!! !